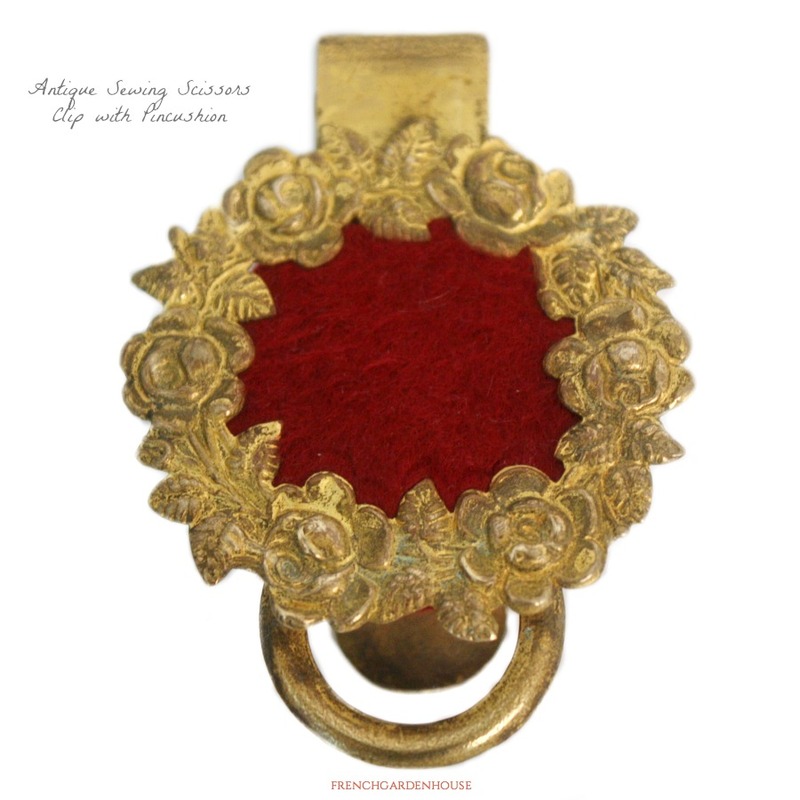 Rare to find, this little circle of Gilded flowers is a sewing accessory, meant for the luxury seamstress to clip on her belt, or on the hem of her jacket or blouse, to hold a few pins, and to attach her sewing scissors to the loop with a ribbon. I've actually never seen one of these before, and was thrilled to find this. 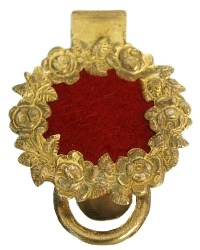 This decorative piece of sewing history is so useful, the garland of roses has a center of deep red wool felt for the pins. 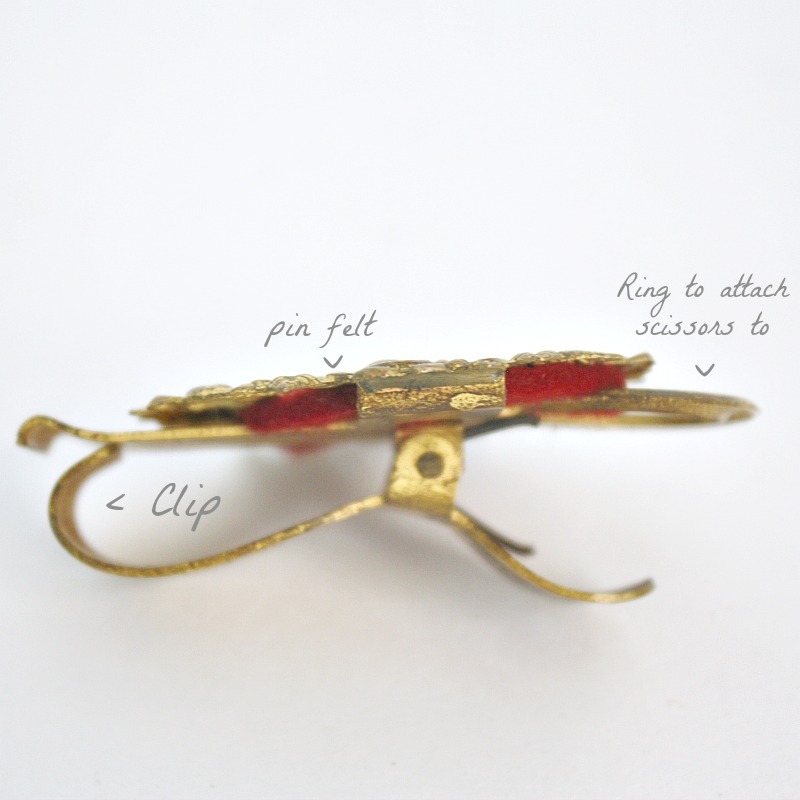 There is wear, as shown, this was used for generations of sewists, what a fabulous addition to your collection of sewing antiques! 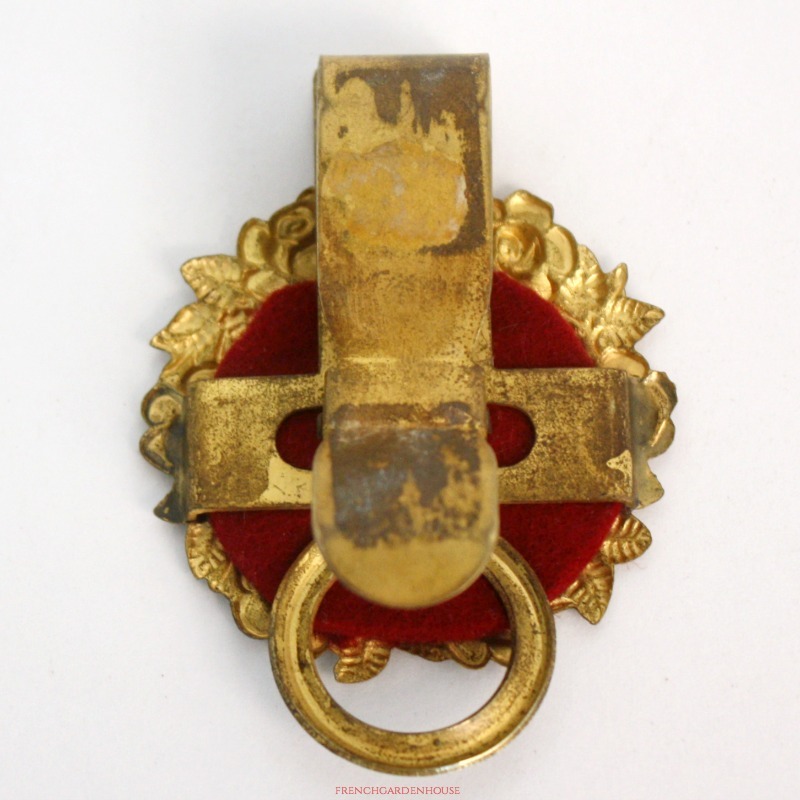 Display or use, this is a little charmer. Measures 2~5/8" x 1~3/4" x 3/4".